The FCC officially notified the National Telecommunications and Information Administration (NTIA) at the U.S. Department of Commerce that it plans to commence the auction of licenses in the 1695–1710 MHz band and the 1755–1780 MHz band as early as September 2014. The FCC is required to give notice at least 18 months prior to the commencement of any spectrum auction. 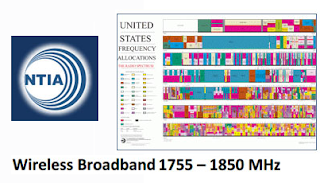 NTIA recently identified the 1695-1710 MHz band as the 15 megahertz of spectrum between 1675 MHz and 1710 MHz to be reallocated from federal use to non-federal use. The Spectrum Act now requires the Commission to allocate this identified spectrum for commercial use and to license the spectrum by February 2015. The FCC also noted that Congress has also directed it to license the 2155-2 180 MHz band, and other bands, by February 2015. The maturity of today’s multiservice network architecture owes a lot to initiatives like the MultiService Forum (MSF) Global MSF Interoperability (GMI) events over the past decade. These events, in partnership with GSMA, ETSI and ATIS, provided an effective vehicle for bringing together service providers and equipment suppliers to conduct proof of concept testing for emerging technologies. The MSF didn't initially conduct interoperability testing, but it quickly emerged as the unifying theme for everything the forum did. Here we review how the focus on interoperability emerged, the factors that contributed to the success of the interoperability program, and the reasons the MSF has deciding to close at this time. The year was 1998, and the technology world was at war; Bellheads vs. Netheads. The Netheads believed the Internet had changed everything, and the old rules no longer applied. Bellheads believed IP could never deliver the quality and reliability that users demanded. It was before that great equalizer – reality - proved them both wrong. Before the Internet bubble burst. Before Broadband Internet was the norm. The MSF began in a world very different from the one we know today. Open-architecture encourages innovation, but complicates interoperability. Rigorous testing ensures the standards are accurate and complete. Multiservice networks offer flexibility, but that very flexibility complicates testing unless a realistic network configuration is provided. Next Generation Networks introduce a new architecture that must be tested as an end-to-end network. Viewed through this lens, the MSF focus on interoperability testing isn’t surprising. In 2000, the market collapsed, and greed changed to fear. Next generation network architectures were complex and unproven. Interoperability testing was expensive, and repeating the tests in every carrier lab compounded the problem. This insight was the impetus for the first Global MSF Interoperability (GMI) event, with equipment in Europe, North America and Asia networked to form a single, global interoperability test bed. Three carriers - BT, NTT and Qwest – along with a dozen equipment vendors participated in the first event. GMI provided a valuable “proof of concept” test for critical interface standards and demonstrated the maturity of the next generation network architecture. GMI testing didn’t replace detailed “plugfest” testing focussed on a single interface. It didn’t replace vendor regression testing or carrier acceptance testing. Instead, GMI played a complementary role by validating the architecture and the standards. GMI 2008 added IMS services and saw participation by BT, China Mobile, National Communications System (NCS), the University of New Hampshire Interoperability Lab, Verizon and Vodafone, along with 22 network and test equipment vendors. For the first time ever, the MSF also partnered with another standards organization, validating key IPTV standards developed by ATIS. The original mission, validating open-architecture, multiservice, Next Generation Networks, had been achieved, but the MSF membership proposed smaller-scale interoperability testing in two additional areas; LTE and IP Interconnection. LTE: Standards for LTE include a new data architecture; the Enhanced Packet Core (EPC). The MSF conducted three LTE/EPC interoperability tests (IOT), with each event expanding the scope of testing. LTE/EPC IOT (2010) focused on core components in the LTE/EPC network. LTE VoLTE IOT (2011) introduced a key service, Voice over LTE (VoLTE), and validated key GSMA specifications for VoLTE in a joint MSF/GSMA event. RCS/VoLTE IOT (2012), conducted jointly with GSMA and ETSI, introduced Rich Communication Services (RCS) to validate a complete LTE service scenario. Taken together, these three IOT events provided a complete proof of concept test for LTE/EPC, VoLTE and RCS services. IP Interconnect: A significant portion of traffic between networks is still based on legacy TDM interfaces at the Network-Network Interface (NNI). IP interconnection exists, but is still complex. The MSF launched a series of test events to validate the enabling IP interconnect standards. IP-IOT (2010) focussed on performance monitoring and reporting at the IP NNI. ETS-NNI IOT (2013) validated standards for Emergency Telecommunications Service (ETS) across an IP-NNI. The success of the MSF interoperability program was driven by several factors. Carrier driven: MSF interoperability events were built around major carrier procurement programs and held primarily in carrier labs. Vendors gained visibility with potential customers, and carriers assessed overall product maturity. It was a formula that drove both carrier and vendor interest in GMI. Realistic Network Testing: The MSF was unique in assembling complete networks for interoperability events, enabling proof of concept testing for next generation network architectures. Testing the Standards: GMI events tested the standards, as much as the products, sometimes uncovering errors or ambiguities in the underlying specifications. Improving the standards made a lasting contribution to the industry. Cooperation: The MSF sought to cooperate with other forums rather than compete. In February, the MSF membership voted to dissolve the forum. Why make this decision immediately following another successful interoperability event? It had a lot to do with the MSF mission and mindset. The MSF focussed on gaps not addressed by other forums, for example, developing Implementation Agreements (IA) to improve interoperability by narrowing options and resolving ambiguities in existing standards. As interoperable standards matured, the need for IAs decreased and eventually disappeared. Similarly, the maturity of multiservice networks is removing the need for further large scale, global interoperability events. Interoperability testing will increasingly focus on specific markets or standards. The MSF brought together key service providers, system suppliers and test equipment vendors committed to developing and promoting open-architecture, multiservice Next Generation Networks. The MSF’s work contributed to the maturity of multiservice network architectures, which changed the nature of interoperability testing. Recognizing this change, the MSF opted to close the forum. Jim McEachern is a consultant specializing in technology trends, systems engineering and standards. He has been an active contributor to the MSF since its formation, and has served on the Board of Directors, as Vice President and President. In recognition of his contributions to the forum, McEachern was elected an MSF Senior Fellow in 2010. McEachern has 30 years of network and product planning experience covering VoIP, Service Management, SONET/SDH, high-speed access (DSL, cable, and fiber), fixed wireless access, operations, and Data Networking. He has extensive experience working with North American and international Carriers, and played a leadership role in developing several key standards, including H.248 and SONET. 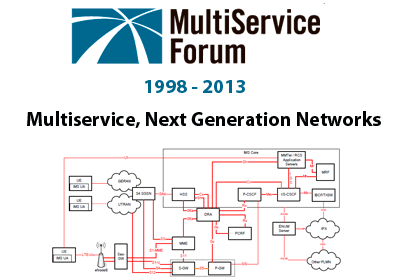 The MultiService Forum (MSF) is a global association of service providers, system suppliers and test equipment vendors committed to developing and promoting open-architecture, multiservice Next Generation Networks. The MSF, in partnership with GSMA, ETSI and ATIS, conducted a number of global interoperability events focussing on next generation technologies including SIP, IMS, IPTV, LTE, VoLTE and RCS. The events were hosted in leading service provider labs, and attracted wide participation from the telecommunications vendor community. Researchers at IBM have discovered a new technique to charge memory chips by manipulating tiny ionic currents. The discovery could pave the way for a new class of non-volatile memory and logic chips that would use less power than today's silicon based devices. 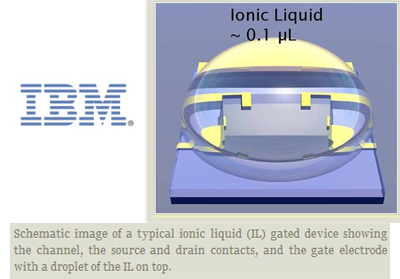 IBM has demonstrated that it is possible to reversibly transform metal oxides between insulating and conductive states by the insertion and removal of oxygen ions driven by electric fields at oxide-liquid interfaces. The company said its experiments show that the materials maintain a stable metallic state even when power to the device is removed. "Our ability to understand and control matter at atomic scale dimensions allows us to engineer new materials and devices that operate on entirely different principles than the silicon based information technologies of today," said Dr. Stuart Parkin, an IBM Fellow at IBM Research. "Going beyond today's charge-based devices to those that use miniscule ionic currents to reversibly control the state of matter has the potential for new types of mobile devices. Using these devices and concepts in novel three-dimensional architectures could prevent the information technology industry from hitting a technology brick wall." IBM's research is published in the peer-reviewed journal Science. 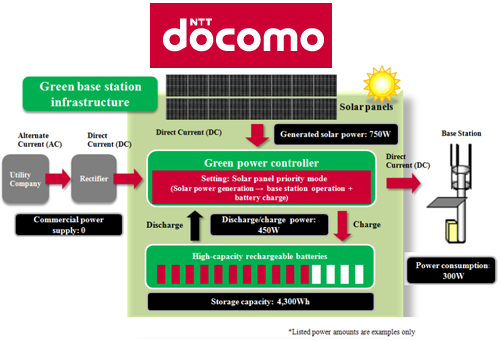 NTT DOCOMO is launching field tests of three conventional mobile-network base stations that have been installed with solar panels, high capacity rechargeable batteries and green power controllers. 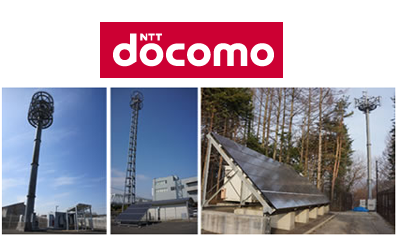 NTT DOCOMO will install 10 green base stations in the Kanto-Koshinetsu region of Japan by late summer, including the first three in Tokyo, Kanagawa and Yamanashi prefectures. The equipment was already by tested at its R&D Center from March 2012 to February 2013. The green base stations use solar panels to generate and store solar power during the daytime. If commercial power supply is cut off during a disaster, the station can rely solely on this power to run communication equipment during the day and use high-capacity, rechargeable batteries to store 14-16 hours’ worth of power when solar power is not available. The solar panels to be used in the field test generate up to 4.19 kW, whereas the maximum power consumption of a base station is 2.0 kW. Remotely controlled green power controllers will manage power used by the base stations, including utility-provided electricity, solar panel-generated electricity, and high-capacity, rechargeable batteries that discharge their energy as required. The company said its interest in disaster-proof, environmentally friendly base stations was spurred by the Great East Japan Earthquake. NTT DOCOMO is also considering fuel cell technologies and wind-powered base stations. NTT Communications has selected Alcatel-Lucent's 7750 Service Router for its VPN enterprise services in Japan and worldwide. Previously such services were supported by independent networks, but the move to a single, converged IP infrastructure provided by Alcatel-Lucent will simplify and streamline network management, cut the cost of network operations and help lower NTT Com's operational expenditure through a measurable decrease in energy consumption. "In 2010 we deployed Alcatel-Lucent's service routers in the network that serves our international business customers, so the transformation of our network in Japan is a natural progression in this successful collaboration. Alcatel-Lucent's dedication to continuously enhancing their platforms with the very latest capabilities gives us the confidence that this new network will be able to address the fast-evolving expectations of our customers far into the future," Hiroshi Sono, Director of Technology, Network Services division of NTT Com. MetroPCS stockholders are expected to vote on April 12, 2013 on the proposed combination of MetroPCS with T-Mobile. The deal has already cleared all regulatory reviews. If the stockholders approve, the merger will be completed soon thereafter. Broadcom introduced two low cost, high definition (HD) digital cable set-top box SoCs with integrated Full-Band Capture and IP video server technology. The new devices, which are aimed at entry-level HD and HD-DVR platforms for cable MSOs, support Internet video streaming capabilities to multiple video devices simultaneously. The SoCs integrate a high-performance CPU, 3D graphics and Full-Band Capture technologies. In addition, the new STB SoCs also provide state-of-the-art Conditional Access (CA) and Digital Rights Management (DRM) security, enabling the conversion of content from CA to an IP-DRM streaming content. Wireline employees represented by the Communications Workers of America District 9 rejected a new labor contract that had been negotiated by the union and AT&T West. The contract would have covered more than 17,000 AT&T employees in California and Nevada. AT&T said it regretted this outcome as the new contract would have provided annual wage and pension increases. Similar contracts had been accepted by CWA membership in other areas of the country. 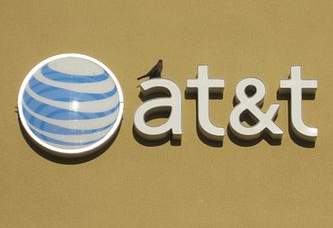 AT&T said it will go back to the bargaining table.